We have the puzzle and animal shapes and they’ve proved to be most useful in overcoming toddler food battles! Lunch Punch make sandwiches much more interesting to little ones who prefer to play than eat. 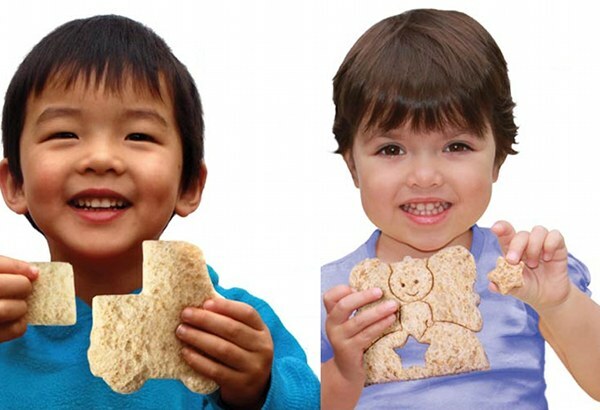 Making the bread into appealing shapes is a brilliant idea by a proudly Australian company and now new shape packs have been released. We first featured Lunch Punch in July 2009 and we’re just loving the new sets. Those who like vehicles can now eat truck, car, plane and train-shaped sandwiches with the VrrrM set and grab the Fairy Princess set for fairy, frog, crown and flower-shaped bread! The two new kits also come together in an upgrade pack so you can add to your existing Lunch Punch collection. Did we mention they’re perfect for making themed fairy bread at parties? The new sets are $14.95 each or $29.90 for the upgrade kit containing both from Cool Things.